Incumbent Ryan Quarles is running for second term as Commissioner of Agriculture. 2019 is an unusual election year in Kentucky. It's a year for candidates with great name recognition and/or big families. It's a year with guaranteed low voter turnout. 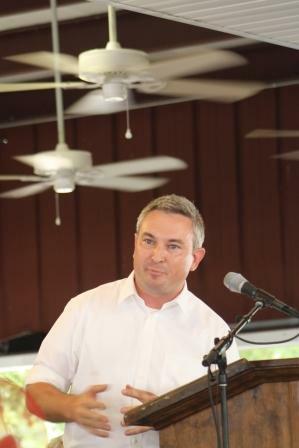 In the race for commissioner of agriculture, incumbent Republican Ryan Quarles is running for a second term. He's drawn a primary challenger in Bill Polyniak. Note to candidates - if you have a website I and Google failed to locate, email me at editor@westkyjournal.com and I will add to this story.